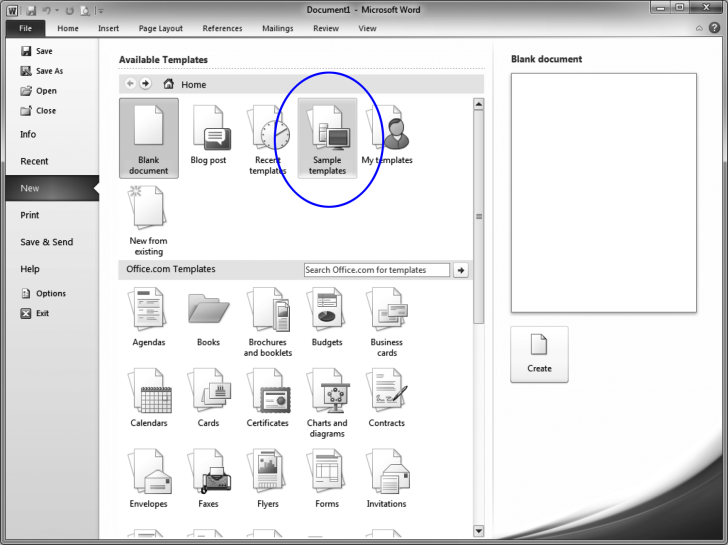 Templates are documents in which all the formatting and layout has already been done. When you create a new document using a template, all you do is plug in your information. For instance, when writing a letter, you can start with the Letter template. Just plug in the name and address of the recipient, the body text, and your letter is ready. 2 Click the File tab, then New. 3 In the Available Templates area, double-click Sample Templates.